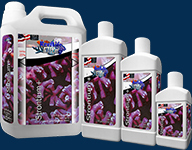 ReefLifeEliteR CalciumLTM is liquid calcium that can be used immediately by aquatic organisms.. Many reef organisms form shells or skeletal structures by depositing calcium that is removed from aquarium water. 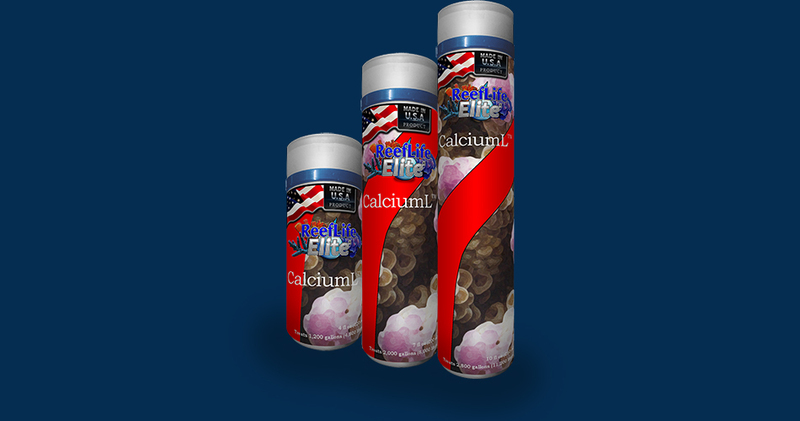 Because the organism’s need for calcium is continuous, the addition of ReefLifeEliteR CalciumLTM to your aquarium in carefully measured quantities helps maintain the proper water quality for optimal growth of soft and hard corals, mollusks, tube worms, and calcareous and coralline algae. 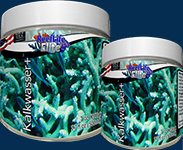 ReefLifeEliteR CalciumLTM alone can provide all the calcium your reef will need, but for best results, use ReefLifeEliteR Kalkwasser+TM first, then raise calcium level with this product. Strontium addition via use of ReefLifeEliteR Strontium+TM is absolutely necessary. Use of ReefLifeEliteR PerfectTM, and ReefLifeEliteR ReefVitsTM are beneficial, as well. Use one inner capful (6 ml) for every 60 gallons (240 liters) or one full capful (20 ml) for every 200 gallons (800 liters) once a week. Adjust dosage according to individual requirements (use PetLifeEliteR CalciumTestTM) Every 6 ml per 60 gallons (240 liters) will increase the calcium concentration by approx 10 ppm. Maintain a calcium concentration of 380 to 450 ppm. Deionized water, Free Calcium and Chloride.